Players earn Bonus Spins by meeting staking requirements set out within the game window. Promotion runs from 12:00 CET on 10th January 2019 to 23:59 CET on 13th January 2019. 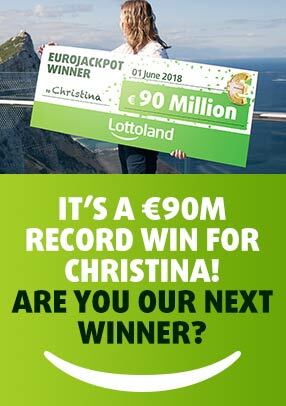 In order to participate in the promotion, players must be logged into their Lottoland account, open any of the qualifying games and click “CLAIM” within the promotional period. Qualifying games are: Jingle Bells, Rainbow Jackpots, Sumo Spins, Three Musketeers, Dragon’s Luck, Reel Heist, Arcade Bomb, Totem Lightning, Persian Fortune, Gems Gone Wild, Esqueleto Mariachi, Wild Wild Chest, Crazy Genie and Cinderella's Ball. Players must complete the staking requirement described in their promotional pop-up to earn the Free Spins reward. Upon completion of the staking requirement(s), a notification will appear with the option to claim your Free Spins Reward. Bonus Spins may be only be used on the following games: Jingle Bells, Rainbow Jackpots, Sumo Spins, Three Musketeers, Dragon’s Luck, Reel Heist, Arcade Bomb, Totem Lightning, Persian Fortune, Gems Gone Wild, Esqueleto Mariachi, Wild Wild Chest, Crazy Genie and Cinderella's Ball. Once the offer is claimed, players will have 7 days to meet the staking requirement. Unused Bonus Spins expire 3 days after crediting. Only one reward from this promotion will be offered per player. Lottoland’s General Terms and Conditions apply.